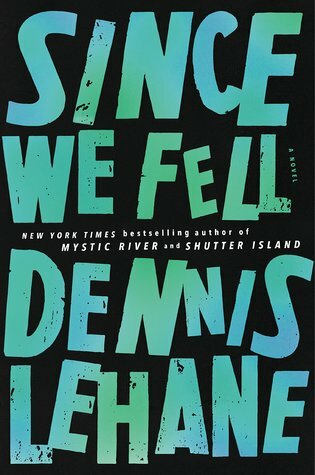 NEW YORK TIMES BESTSELLER Barnes and Noble Best Book of the Year Bookpage Best of 2017 Booklist Best Crime Novel PopSugar Best Book of 2017 The new novel from New York Times bestseller Dennis Lehane, author of Mystic River and Shutter Island “Lehane is the master of complex human characters thrust into suspenseful, page-turning situations.” —Gillian Flynn Since We Fell follows Rachel Childs, a former journalist who, after an on-air mental breakdown, now lives as a virtual shut-in. In all other respects, however, she enjoys an ideal life with an ideal husband. Until a chance encounter on a rainy afternoon causes that ideal life to fray. As does Rachel’s marriage. As does Rachel herself. Sucked into a conspiracy thick with deception, violence, and possibly madness, Rachel must find the strength within herself to conquer unimaginable fears and mind-altering truths. By turns heart- breaking, suspenseful, romantic, and sophisticated, Since We Fell is a novel of profound psychological insight and tension. It is Dennis Lehane at his very best.